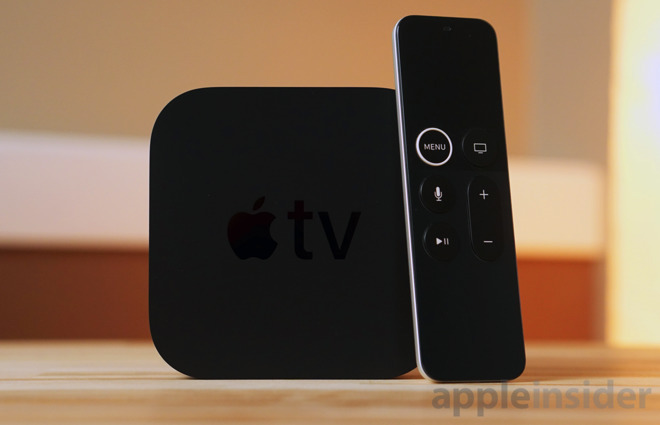 Following the launch of an eponymous standalone Apple TV app, Charter Spectrum on Friday announced a promotion that allows new and existing Spectrum TV and Internet customers to add an Apple TV 4K to their subscription for $7.50 a month. The hardware offer was detailed in a press release touting the launch of the Spectrum TV App for tvOS, which hit the App Store on Thursday. According to terms of the deal disclosed in the document, new and existing customers will next week be able to add Apple's top-tier streaming box to their monthly plan for $7.50 plus tax for 24 months. While not specified in the release, Charter is assumedly marketing the 32GB Apple TV 4K, as the full-term cost is comparable to purchasing the $179 device at retail pricing. "With Spectrum TV on Apple TV 4K, customers can now enjoy the ultimate entertainment experience across their iPhone, iPad and Apple TV," said Apple VP of marketing Greg Joswiak. "We want to help customers get right to watching their favorite channels, shows, movies and sports, and with innovative features like zero sign-on, the Apple TV app and Siri, they are able to jump right in." With the launch of Spectrum TV this week, Charter Spectrum became the first U.S. basic cable company to offer support for tvOS 12's zero sign-on functionality. The feature automatically authenticates existing subscriptions, allowing users to seamlessly access channels and on-demand content provided through their selected cable bundle. Zero sign-on is fashioned as a successor to "single sign-on" functionality, which debuted in 2016 to streamline the log in process for a growing number of third-party video streaming apps.